Today is Thursday, December 8, the 343rd day of 2016, with 23 days remaining. There are 13 days until the winter solstice, 15 days until Festivus, 16 days until the start of Hanukkah, 17 days until Christmas Day, 43 days until Donald Trump becomes president of the United States, and 698 days until the November, 2018 mid-term election. 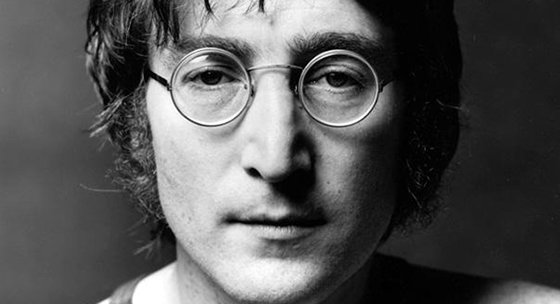 On this date in 1980, musician and former Beatle John Lennon was murdered by Mark David Chapman in the archway of the Dakota, Lennon's residence in New York City. Lennon had just returned from Record Plant Studio with his wife, Yoko Ono. After sustaining four major gunshot wounds, Lennon was pronounced dead on arrival at Roosevelt Hospital. At the hospital, it was stated that nobody could have lived longer than a few minutes after sustaining such injuries. Shortly after local news stations reported Lennon's death, crowds gathered at Roosevelt Hospital and in front of the Dakota. Lennon was cremated at the Ferncliff Cemetery in Hartsdale, New York, two days after his death; the ashes were given to Ono, who chose not to hold a funeral for him. The first media report of Lennon's death to a US national audience was announced by Howard Cosell, on ABC's Monday Night Football. Among other things, today is also National Brownie Day. One story says that a Boston chef mistakenly added melted chocolate to a batch of biscuits, thus creating the first brownies. Another version claims that a housewife in Bangor, Maine was making a chocolate cake but forgot to add baking powder. The cake did not rise properly and, instead of throwing it out, she served it in flat pieces. Bald Florida man who stole hair growth products sentenced to prison. As of this writing, The KGB Quotations Database contains 42,687 entries. Check it out. Flip Wilson, African American comedian and actor. Quote of the day: "The written word will soon disappear and we'll no longer be able to read good prose like we used to could. This prospect does not gentle my thoughts or tranquil me toward the future." Turns out the nastiest illicit, addictive opioids aren't coming across the border from Mexico, but from Texas, via the Post Office from sources in China. The New Yorker has a sobering piece on why scientists are scared of Trump. The coming Trump kleptocracy, perfectly captured in a single sentence: "It’s not clear how much Mr. Trump’s businesses would benefit from his proposal to cut business tax rates." Donald Trump is having members of his presidential transition sign non- disclosure agreements. During the campaign he said that presidential appointees and nominees should, too, because he doesn't like the idea of members of a government being critical after they leave the government. The key is that the transition, unlike the campaign, is a government entity. It has a government budget, access to government services, government offices, government emails etc. I am not sure of its technical standing or whether there is much relevant case law. But it is definitely not a private entity like a campaign... There are a couple issues to keep in mind with this. There are probably a number of reasons why such contracts would either violate federal law or be unenforceable. That doesn't mean Trump wouldn't try to do it. 75 years ago today, the United States declared war on Japan. On December 11, 1941, it declared war on Germany and Italy. That was the last time the U.S. officially declared war on anyone, despite the more than 200 military involvements we've had since then. Dark matter might talk to itself. The mysterious substance that outweighs all visible matter in the cosmos might be best explained if it's able to interact with itself via an invisible force. Hope this clears things up.